I have the prettiest sage green polish to share today. 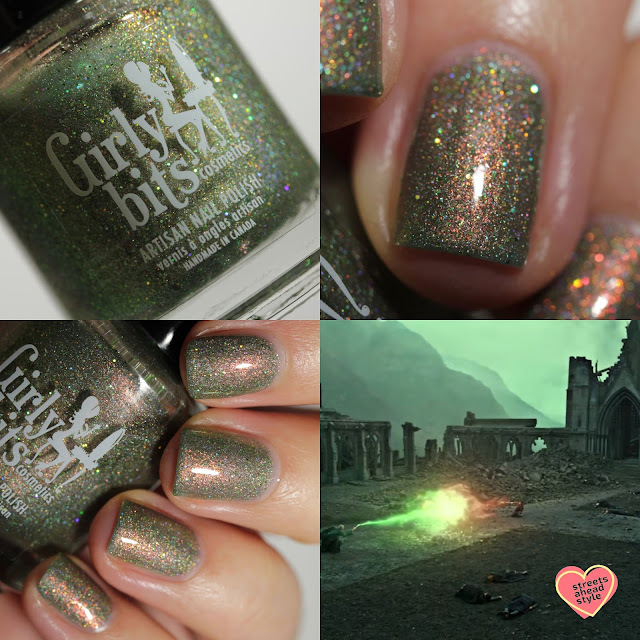 Girly Bits Cosmetics has created another beautiful polish as part of their Harry Potter series for November's Hella Handmade Creations. 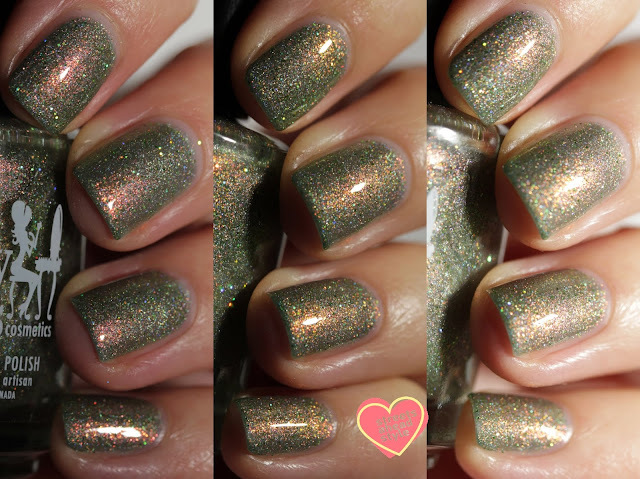 Girly Bits Priori Incantatem ($13 USD, 15 mL) is somewhere between a moss and sage green, with an intense red-orange aurora shimmer, a soft holo glow, and pops of bright green and gold holographic micro-glitters. Girly Bits tried to capture the spell in the form of polish by using two opposing colours coming from the same source. It is inspired by the final battle scene between Harry and Voldemort, in The Deathly Hallows. I am wearing three thin coats plus top coat. This is an absolutely BEAUTIFUL polish. I love greens like this and the shimmer is unreal and super vibrant. 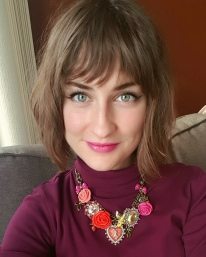 I wore this in one coat and it looked amazing, like an ethereal topper. There won't be a cap on this polish so no need to rush! But do make sure you grab a bottle because it's an incredible polish if you love green or aurora shimmer. I wore this for a few days because I couldn't stand to take it off.. I wanted it on my nails for as long as possible (which is a long time with the great Girly Bits formula).